Tell us your financial situation and we'll tell you which tax prep site is best for you. Whether it’s to save money or because they like the challenge, millions of Americans prefer to prepare their tax return themselves — with a little help from some do-it-yourself computer software. The IRS offers a free tax filing service for those with income of less than $66,000, but most DIYers buy tax-preparation software. 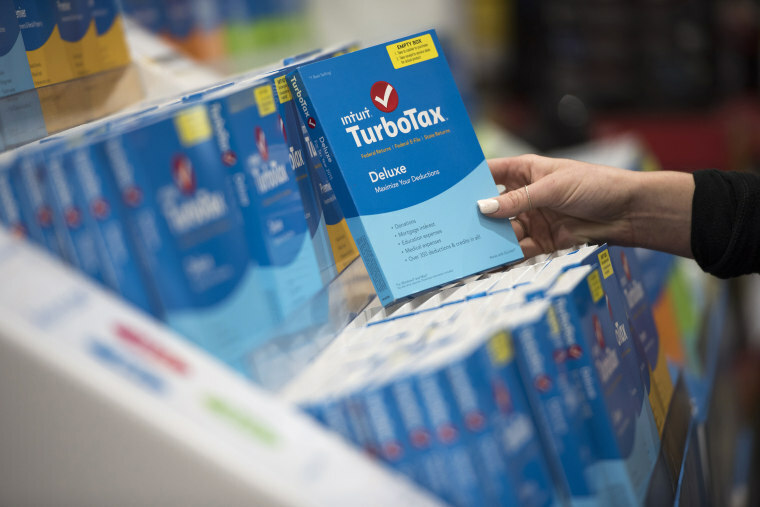 Consumer Reports earlier this month released its annual review of the four major tax prep software companies: H&R Block, TaxAct, TaxSlayer and TurboTax. Senior Editor Tobie Stanger used her personal tax situation: Her household has two W-2s, a mortgage, home equity line of credit and various deductions, including charitable contributions. She test drove both the online and mobile offerings. Its Donation Assistant provided higher valuations for more donated goods than H&R Block’s DeductionPro and TurboTax’s ItsDeductible. Apps from all the companies make it “relatively painless” to photograph W-2s and import them into the tax programs. Stanger especially liked the TurboTax “Virtual Assistant” that guides you to help. Wendy Connick, a tax preparer who also works for Intuit (maker of TurboTax) as a credentialed tax expert, agrees with Consumer Reports. If you have a complicated financial situation, you’re likely to save more money on your tax bill than you pay for that expert preparation. You had a major life change: You got married, had a baby or bought your first home. You own rental property: The rules are “some of the most complicated in the entire tax code,” she writes. You just started a side gig: Whether that new business is making money or not, you now have a complicated return. You failed to file returns in the past: This can get you into big trouble with the IRS. A pro can prepare the missing forms and help you deal with blowback from Uncle Sam. Why Didn't Consumer Reports Didn’t Test Credit Karma’s Free Service? Michael Goodbody, director of communications for Credit Karma, insists there’s nothing nefarious about running that credit report. "Because security is a top priority for Credit Karma Tax, we go beyond the IRS security standards by asking our members to validate their identity," Goodbody said. "This level of security for Credit Karma Tax helps us combat the problem of income tax refund fraud." Pam Dixon, executive director of the World Privacy Forum, says this is not an issue for Credit Karma members, because they already provided their SNN to join. But non-members may want to think twice, Dixon said. More than a dozen companies that offer DIY software claim to offer free filing for at least some tax forms. But “free” may come with strings attached and constant attempts to up-sell you a more expensive product, according to Robert Farrington, founder and CEO of TheCollegeInvestor.com. Many of these companies offer free federal returns for certain filers, but then charge for the state return. And they may charge much more for that state return than other services. Some require you to upgrade to a “deluxe” version to qualify for free filing — something you don’t find out about until you’ve spend a half hour or more doing your return. Sites that say “start your return for free” don’t file your return for free.